Veterinarian Translates Barks And Meows Veterinarian Nancy Kay helps pet caregivers consider what's in the medical best interest of their furry friends, and offers advice on everything from helping a pet handle vet visits to figuring out whether an animal is in pain. 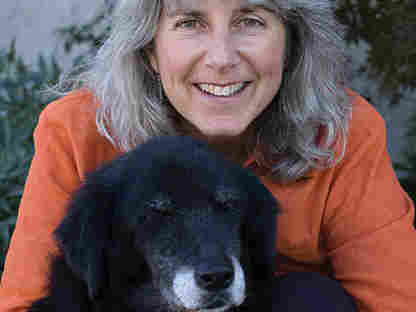 Veterinarian Nancy Kay helps pet caregivers consider what's in the best interest of their furry friends, and offers advice on everything from helping a pet handle vet visits to figuring out whether an animal is in pain. The latter issue can be tricky; often pet owners wait for animals to vocalize pain before they bring their animals to the veterinarian, but Kay tells Terry Gross that "dogs and cats don't necessarily manifest their pain by whimpering and crying." And, she adds, "animals don't necessarily have to be in pain to be suffering. What I encourage people to think about is: Consider the case of the flu. If you're in bed with the flu, how miserable you feel." 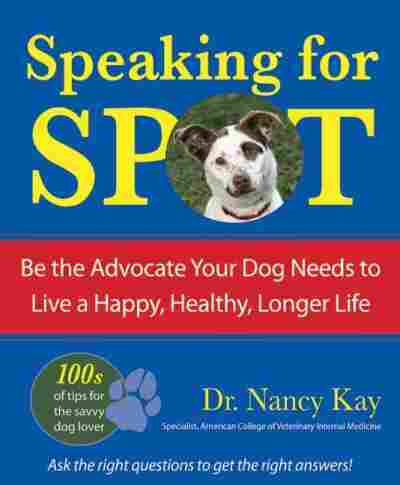 The author of Speaking for Spot, Kay is an owner and staff internist at the Animal Care center, a 24-hour emergency specialty care center in Rohnert Park, Calif. This interview was initially broadcast March 19, 2009. Making significant medical decisions can be mighty challenging, even for those with medical experience. Why must it be so difficult? For starters, we all love our dogs dearly, and the thought of making the wrong choice on their behalf is a dreadful one indeed. It would be different if dogs had a voice in it; instead the burden rests 100 percent on our imperfect human shoulders. With so many factors to consider and so much medical information to comprehend and digest, deciding what to do can be really tough. I'd love to be able to give you a secret recipe, but the main ingredient doesn't existnamely the crystal ball that would preview the outcome of our choice. In lieu of a magic recipe, here is some sound advice and reassurance to help keep you on track. I've seen clients deal with making medical decisions in a number of ways. First, there is the "eenie-meenie-minie-moe" approach. It's certainly quick and easy, but as tempting as this method sounds, I discourage it at all costs. Making decisions this way is a huge gamble, and your dog's health is what's at stake. Second, there is the abdication of responsibility; in other words, solicit someone to do it for you. I'm not crazy about this strategy either, for two reasons. No matter how knowledgeable your designated pinch hitter is, there's no way in the world he or she knows your dog well enough and what's ultimately in his best interest. If the end result is a negative one, there could be a huge psychological price for you to pay. Clients describe the feeling of letting their dog down at the time he needed them the most (and guilt is usually a really tough thing to work through). Third, the veterinarian is often asked to be the decision-maker. We commonly hear, "What would you do if he was your dog?" Some vets don't hesitate to answer the question directly, welcoming the opportunity to tell their client exactly what they believe. (After such a response, it can in fact be difficult for some clients to have the gumption to choose something different!) When I'm asked the question, I am honest with my answer, but I issue it with the disclaimer that what feels right for me and my dog may not be the best choice for my client and patient. Truth be told, when it comes to truly difficult decisions, I'm often just as uncertain as anybody else. Think about whether you are asking your vet to make the decision for you, or simply trying to gain perspective. The fourth option, and my obvious favorite, is what I refer to as (drum roll here) the "responsible advocate" approach. No, it's not nearly as easy as the other three choices because some serious research and soul searching are required. But the payoff is huge. You will end up making the decision most likely to serve your dog's best interest, and no matter the outcome, you are assured of having the greatest peace of mind. Just keep on readingthe remainder of this chapter is loaded with the advice to help you when faced with tough choices. Secret for Success: Anthropomorphism Not Allowed! To anthropomorphize literally means to attribute human form or personality to things not human, which includes assuming animals have the same feelings or behaviors we do. Anthropomorphizing is a fact of life for most of us animal loversit's so darned enjoyable. (I don't dare give you details of what goes on in my household!) So, go ahead and humanize your dog to your heart's content. Let your dog join you at the dinner table, dress him up for Halloween, ask him to be the ring bearer at your wedding. But please, do not let your anthropomorphic ways get in the way of what's best for his health. How is this relevant? Consider the following example. I perform oodles of ultrasound evaluations in my day-to-day practice. It is a fabulous diagnostic tool, because it's a comfortable, noninvasive, and risk-free procedure for the patient as well as providing a wealth of useful information to the veterinarian. In order to get good ultrasound images, the body part must be shaved-- for example, for the abdomen, it's necessary to shave the underside of the dog's belly. Every so often, I encounter a client who declines the ultrasound because of her certainty that a bald belly would result in a horrific case of canine embarrassment, resentment, or depression (yes, I've heard all of these reasons). This is anthropomorphism at its best, or perhaps I should say at its worst. Don't assume that your dog will be miserable and his life won't be worth living if he loses his eyesight. The majority of dogs adapt amazingly quickly and easily. In fact, sometimes I am the first one to recognize that my patient is blind. He has been moving about so well in his home environment that his human family didn't even notice. And, the same can be said if limb amputation becomes necessary. Most dogs, typically, are back to their usual tricks within a few weeks. They don't worry about what their buddies at the dog park will think when they see three legs rather than four. The bottom line is that anthropomorphism often leads to you dismiss legitimate options in your dog's medical care. I encourage you to set aside your preconceived notions based on human responses and experiences, so you can really hear what your vet has to say. When I counsel people who are working through tough medical decisions for their dogs, I commonly hear, "I want to be sure that I'm not just doing this for me." I view this comment as a very good sign, because it means the person is trying to stay focused on their dog's best interest rather than their own needs and desires. But, how do you know what's truly right for your dog? I have nothing against good old-fashioned "gut" feelings, but when it comes to your dog's health, I recommend being well-informed over "going on instinct" any day. For every health issue, there will be plenty of information into which you can sink your teeth. I encourage you to take a really big bite: read all you can, and ask your vet to explain the pros and cons of every diagnostic and therapeutic option. Your goal is to gather and process as much knowledge as possible in order to make an informed choice. Does the Medical Plan Make Sense? Should you give your dog antibiotics when there's no evidence of a bacterial infection? Perform a diagnostic test when it's not clear how the results might change what happens next? Vaccinate for "the works" without knowing which diseases he might be exposed to? Asked this way, these questions almost seem silly, but I must tell you that, as an internist who receives referrals and provides second opinions, I encounter situations where testing was performed or treatment administered that truly didn't make sense in the case at hand. If your veterinarian is prescribing care that, in your mind, doesn't "jive" with your dog's problem, I encourage you to question, investigate, poke, and prod, until things "click." I know how difficult this can be-- heck, I know how hard I have to work to avoid glazing over when listening to my insurance broker explain unfamiliar things such as copays, benefits, indemnities, and liabilities. However, it is in your dog's best interest to ask to see his lab test results, ultrasound images, and X-rays rather than just hear about them. It is with his well-being in mind that you should ask for clarification when your vet summarizes a complicated procedure. You are not being a nuisance, and a good veterinarian will not be offended by your questions (none of us are perfect, as I explain in chapter 4). Think of it as a healthy system of checks and balances. In fact, most vets derive satisfaction from knowing that their patient's course of treatment makes sense to their client. They know that the more their client understands, the better their patient will be served. Does Your Dog's Personality Play a Role? Some dogs are fighters, and others are wimps; some are shy or fearful with people they don't know well, and others love every opportunity to lick a new face; some have high pain thresholds, while others "scream" when their temperature is taken. Some love being at the vet's because it's an opportunity to get cookies and attention. Others rebuff all versions of vet-clinic bribery. Your dog's personality is an exceptionally important factor to consider when being his advocate. Consider the following example. In my practice, I work with many dogs with cancer and chemotherapy is a common topic of discussion. When I counsel people on its pros and cons, I encourage them to think about their dog's emotional response to being taken back and forth to the veterinary clinic for frequent visits. Honest to goodness, some dogs absolutely love coming in for their chemo: they get lots of hands-on attention from people who adore them, and in my clinic, there is a 10-cookie minimum per visit. On the other hand, there are the dogs that learn to hate getting in the car because they think it means another trip to the vet. These dogs shake, quiver, and worry from the moment they leave home until the moment they get out of the vet's office. And, they can be starving, but still refuse to eat a cookie in our presence. So, it's pretty easy to figure out which personality type is better suited to the rigors of chemotherapy. If a client is uncertain, I generally recommend proceeding, and reevaluating that decision should the dog protest. I must admonish you here; please don't assume your dog's emotional response is the same as yours. Based on personal experience, you may be aghast at the thought of surgery. Projecting this onto your dog, though, might steer you toward a decision that is not truly in his best interest. Review the earlier section called "Anthropomorphism Not Allowed!" to help you stay focused on your dog's inherent personality traits and emotional responses rather than your own. What Is Your Dog's Job Description? When I ask about your dog's job, I really want to know what your dog loves to do more than anything else in life. Perhaps he is a Border Collie whose passion is running all day to herd and keep track of everything that moves on his property. Or, maybe he's a lapdog and his most favorite thing in life is snuggling with you on the sofa. You want to be sure the choice you are considering doesn't interfere with his ability to continue doing his favorite things. For example, successfully treating a dog with heart failure requires significant life-long exercise restriction. This might be no problem for the couch potato but perhaps very hard to endure for the Border Collie. How Does Your Dog's Age and Overall Health Play a Role? I often talk with clients about whether or not to proceed with significant testing, perform a complicated procedure, or start an involved treatment plan for their older dog. They commonly voice concerns based on his age. I might hear, "I'd say, 'Yes,' if he wasn't already 12 years old." Sounds logical, doesn't itat least initially? However, when you stop to think about it (and you can bet that I encourage my clients to think about it), you realize such a knee-jerk response doesn't necessarily add up. It might not make sense to surgically repair the torn knee ligament in a sedentary eight-year-old dog that is already debilitated by arthritis, but it may very well be a good idea to perform the same surgery on a 12-year-old that cavorts daily at the dog park. You see, when it comes to making decisions for your older dog, consider his functional, not chronological age. (This has nothing to do with multiplying or dividing by seven!) So, rather than nixing the notion of a test or treatment based on a number, make your decision based on the quality of your dog's life before he became sick or injured. Can You Change Your Decision if You Don't Like What You See? By the time one of our own dogs, Lexie (a Border-Collie-mix, we think) was 17 years of age, she had arthritis in just about every joint of her dear little body. My husband and I decided to have a rehabilitation specialist work with her on an underwater treadmill. I've seen this produce utterly amazing results for arthritic dogs. Both times Lexie tried the treadmill, however, she told us in no uncertain terms that she disliked the whole experience immensely. No problem. We simply discontinued this therapy. Sometimes the knowledge that a change of heart will be perfectly okay turns a monumental decision into a much easier one. What Does Your Dog Think? I encourage you to spend a little nose-to-nose and eyeball-to-eyeball time with your dog. Despite his not feeling "up to speed," does he still have that recognizable spark, or maybe a twinkle in his eye to indicate he wants to keep on fighting? Do his eyes look tired in a different way? I am firm in my belief that such one-on-one time can provide invaluable feedback about what your dog would have you choose on his behalf. And, nothing is more important than that. What Best Serves Your Peace of Mind? By virtue of the fact that you are reading this book, you probably care deeply for your dog and want to act in his best interest. What's best for you is also important. I'm not necessarily talking about peace of mind in the near future. Rather, I'm referring to the kind you desire after having lived with your decision weeks, months, and or even years down the road. Canceling a long-awaited holiday in Hawaii because your dog needs surgery may be very disappointing at the time, but in the long run, it may be the decision you can best live with. Finding peace of mind is the natural consequence of stepping up to the plate as your dog's responsible medical advocate. This doesn't mean that you will invariably choose the most aggressive option-- rather, your choices will be guided by what you ultimately believe is the right ones for your dog. Even if the end result isn't what you'd hoped for, you will be at ease knowing that your actions were always guided by your good intentions. No matter how refined your medical advocacy skills are, some circumstances render it impossible to make decisions based solely on your dog's best interest. This can happen when financial issues come into play, or when it's simply impossible for anyone to know which choice is truly best. On the following pages I provide some exercises to help you deal constructively with these challenges. It's known that approximately 80 percent of maladies seen by the average human physician fully resolve without any medical intervention. No such estimate exists in veterinary medicine, but I suspect that the findings would be similar. Many people feel that a trip to the veterinarian with a sick dog is unrewarded if they don't return home with medication in hand. In fact, vets often feel pressured to prescribe something, even when "nothing" would be best. When "benign neglect" is recommended, consider yourself lucky! Your dog's illness is not serious and you don't have to hassle with medication. As the saying goes, "Don't just do something, stand there." I suggest the following exercise when clients are in the throes of decision-making and I see that concerns about money are taking center stage. I ask them to imagine that they are wealthy beyond compare. Once they've envisioned themselves as Bill Gates or Oprah Winfrey, I ask them to have another look at the choices on the table. Once cost is removed from the equation, it's often much easier to hone in on the decision that truly serves the dog's best interest. Better yet, sometimes there's the added bonus of realizing the best option is the less expensive one. But, what happens when the obvious best choice is not affordable? Rarely is there only one right way to do things, so the key to making things work in this situation is examination of medical alternatives and different ways to pay the bill. In most situations, the client can be assured peace of mind based on the knowledge that she acted in her dog's best interest. However, sometimes medical circumstances are such that it is simply impossible to know which choice serves this purpose. Consider the example of my dog, Lily. Approximately 20 years ago, my husband (also a veterinarian), young children, and I shared our lives with a gentle, loving Golden Retriever named Lily. She was an incredibly hale and hearty dog, even as she entered her "golden oldie" years. Shortly after her thirteenth birthday, we noticed our Lily girl slowing down in the food department. Rather than wolfing down her meal within seconds, she dawdled a bit at the bowl, sometimes even leaving a small amount uneaten. If you are familiar with this breed, you know this is a serious symptomin fact, most Goldens would quit breathing before they'd stop eating! An abdominal ultrasound showed that Lily had a large mass within her liver. We obtained a biopsy using a nonsurgical ultrasound guided technique, but the pathologist couldn't be certain whether the mass was benign or malignant. My family and I were faced with a monumentally difficult decision. Dare we ask our beloved 13-year-old to endure major surgery in the hopes that the mass was benign and could be successfully removed? Or, should we simply provide her with supportive care, keeping her as comfortable as possible for as long as possible? Surgical removal of a liver lobe is no walk in the park for any dog, even one much younger than Lily. What if her life ended as a result of surgical complications? How would we feel if the mass turned out to be cancerous and couldn't be removed? How would we live with ourselves knowing that we'd subjected our dear dog to such an invasive procedure during the last few weeks or months of her life? We thrashed around with our decision for days, looking at it from many different angles, and discussing all the pros and cons. We spent time, lots and lots of time, observing and "talking with" Lily. We studied her demeanor and expressionespecially what her eyes were telling us. Did we sense that she was ready to "throw in the towel," or was she game to take that giant step into the surgery suite? No one could predict whether surgery would do her more harm than good. When such uncertainty exists, I encourage you to work through what I refer to as a "peace of mind exercise." My husband and I used this exercise to make our decision for Lily. Here's how it worked in our case: we were considering two options. The first was surgery in the hopes of successfully removing her liver tumor. The second was to forego surgery, and use supportive measures (special diet, antinausea and pain medications) to keep Lily as comfortable as possible, for as long as possible. Although we felt, based on her overall health, Lily was a reasonable surgical candidate, we had no way of knowing which of these two options was truly in her best interest. (1) If we opted for surgery, the best case would be that her disease would be cured and her normal good quality of life restored. In the worst case, the surgeon would be unable to remove the tumor, and additionally, there would be significant surgical complications, perhaps resulting in death. (2) If we went with the supportive-care option, the best scenario even if the mass was benignwould be that Lily's symptoms would progress slowly, and she would have another few months of reasonably good quality time. The worst imagined outcome would be rapid progression of her symptoms resulting in the need to consider euthanasia within a few weeks. Step two of this exercise is to determine which set of outcomes would best serve your peace of mind. With Lily, our goal wasn't to find an option we "liked" (impossible under the circumstances), but rather to determine which we could most readily live with. This was the key to making our choice about how to proceed. My husband and I were fortunate in that we found ourselves on the same pagenot always the case when more than one decision-maker is involved. The process certainly wasn't an easy one. It took a great deal of thought, investigation, introspection, and yes, it required "discussions" with our dear old dog. When we made our choice, did we know with certainty that it was correct? Absolutely not! We did know it was well-informed with nothing but the best of intentions for our sweet girl. No matter how things turned out, we doubted we would have regret; sadness and disappointment perhaps, but no regret. So, what ever happened to Lily? We decided to take the more aggressive approach. We asked a board certified surgeon to attempt to remove her liver mass. The surgery lasted almost four hours, and thank goodness, the mass was removed in its entirety. And, it turned out to be benign rather than cancerousthe icing on the cake! She took a considerable amount of time to completely recover, but within a few weeks we had our Lily girl back. Her next three years were spent in Golden Retriever bliss (good food, good company, and the opportunity to swim on a regular basis). Lily lived to the ripe old age of 16! We felt extremely fortunate with the outcome of our decision, but knew in our heart of hearts, that had surgery not turned out well, we would have had peace of mind knowing that we'd done our very best, and stayed true to our good intentions throughout the decision-making process. 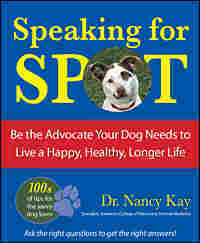 From Speaking for Spot: Be the Advocate Your Dog Needs to Live a Happy, Healthy, Longer Life by Nancy Kay, DVM. Copyright 2008 by Nancy Kay. Reprinted by permission of Trafalgar Square Books, N. Pomfret, VT, www.trafalgarbooks.com.